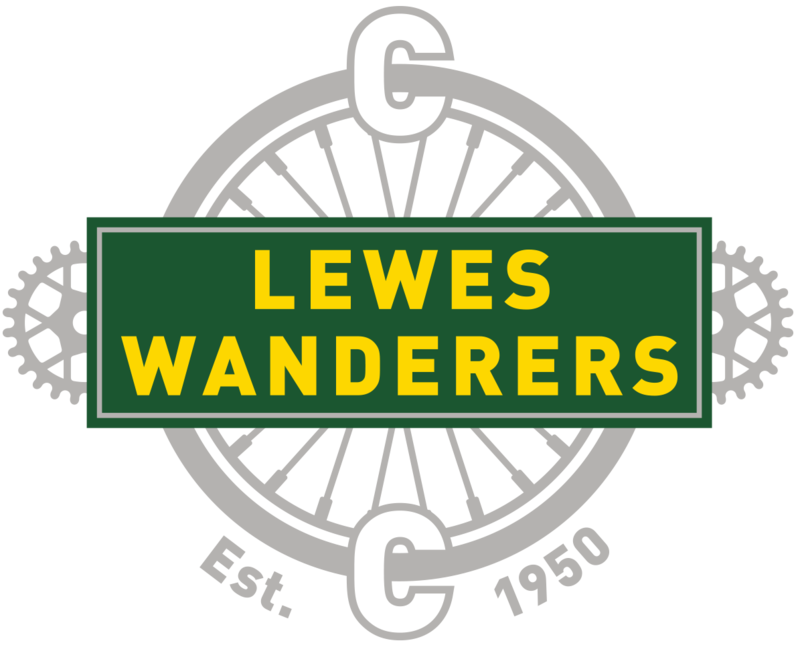 Three of our present-day trophies belonged to the original Lewes Wanderers and were reclaimed by Des Terrill from a John Dunning, at Newhaven. 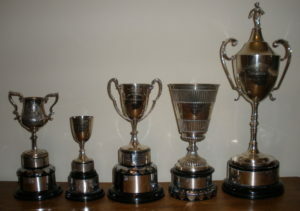 They were the Pearce Cup, Crisp Cup, and Cinema De Luxe Cup. Whittington visited Strudwick's bike shop in Brighton in September, 1950 and persuaded the owner to donate a trophy, The Strudwick Cup. 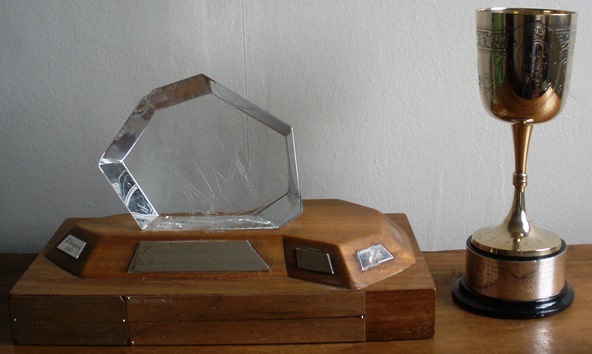 Des Terrill's father handed over two of his boxing trophies which he'd won in 1926. 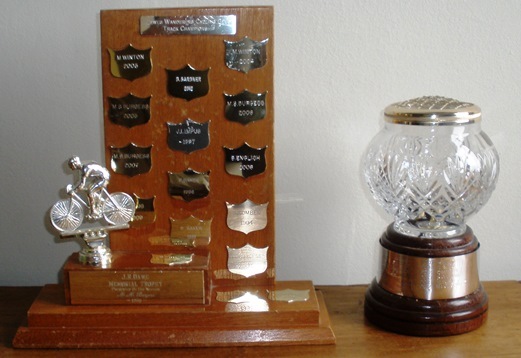 The Terrill Cup, Terrill Cup, Lewes-Newhaven event (now the Circuit of Laughton). Des Terrill himself was working at the home of a Mrs. Kent in Seaford when he came across a big green and dirty cup, lying in a cupboard. It had belonged to Mrs. Kent's late husband, who had been an MP and yachting enthusiast. Mrs. Kent had the cup cleaned and engraved as the Kent Cup. 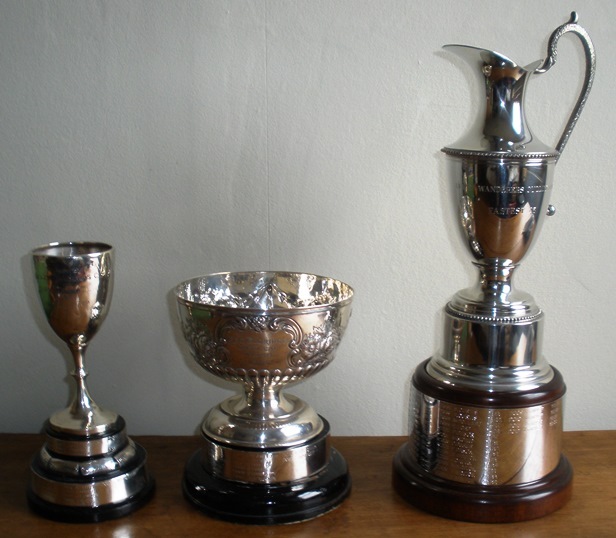 The Zonca Bradshaw Trophy and Merit Cup are awarded at the discretion of the committee.